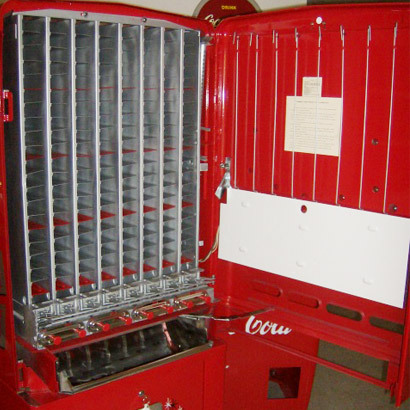 We restore Stoner Candy Machines in the exact manner as we restore vintage soda machines—to Grade One Condition. 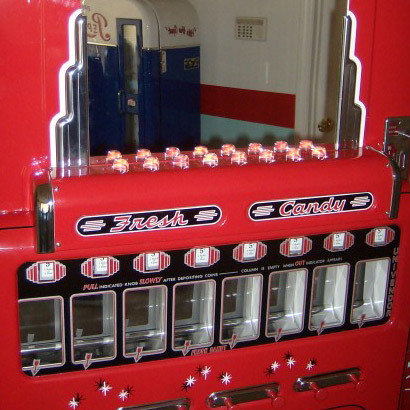 They are completely taken apart and redone from the inside out, and painted in a wide variety of finish colors. 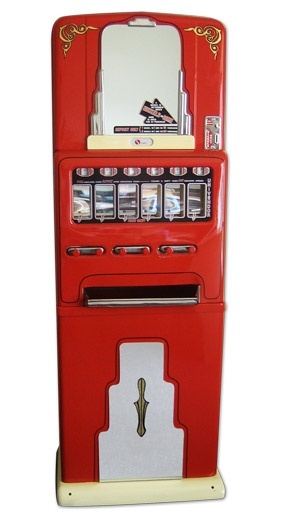 The Stoners offer a minimum of 6 different selections and are a great addition to your game room, business, or home theater. 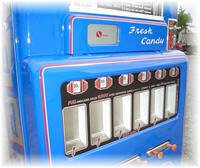 Most Stoner Candy Machines are sold before we can finish restoring them so expect to wait up to 6 months in most cases. 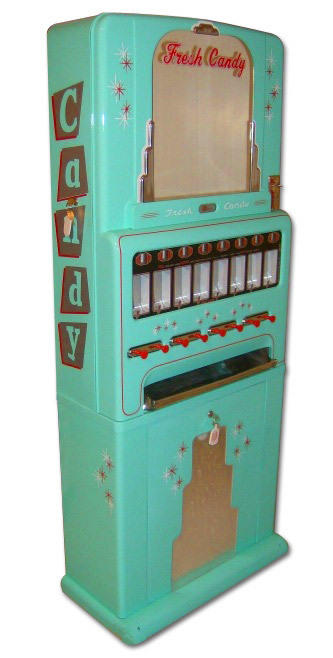 Here is our latest addition to the restored vintage antique candy machine family. 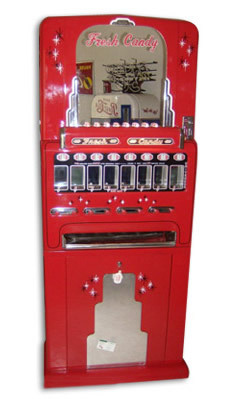 This is a theatre version of the machine and it has lights on the front illuminate the machine. 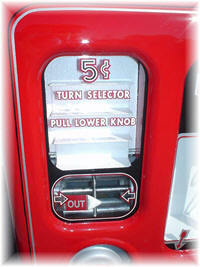 As you can see from the photos below our machines are restored to better than new condition. 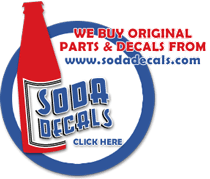 If you have any questions feel free to give us a call. 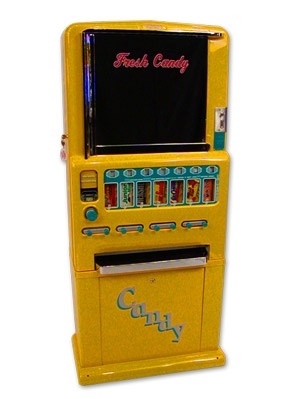 Most of our Stoner Candy Machines are sold before we finish restoring them (no kidding)! We will also provide restoration services for your Stoner. 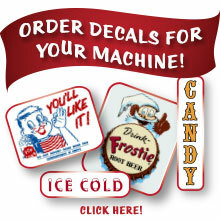 For additional information and pricing, please send us an email or call toll free: 304-724-2100 Your first stop for finding vintage candy vending machine.